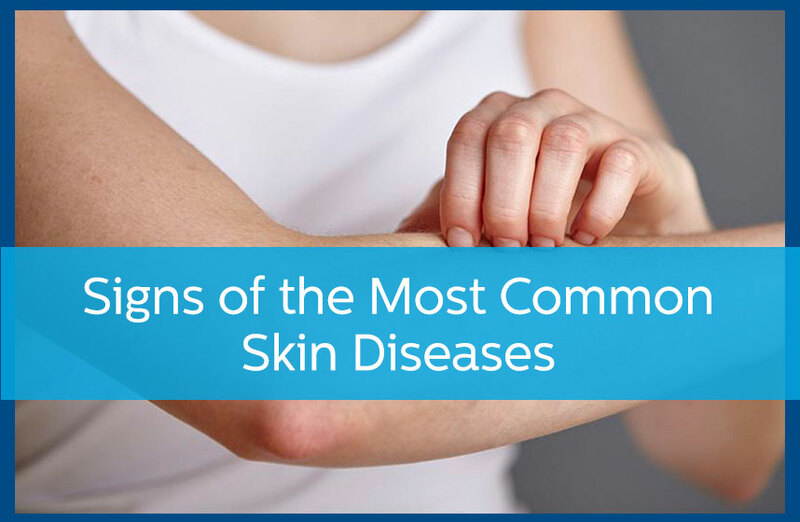 There are thousands of different kinds of skin disorders, and while many of them are rare, there are a handful of skin disorders that are incredibly common and could happen to anyone. Even if a skin disease is common, it should still be treated by a dermatologist. Eczema is often mistaken for a regular rash, but treating this skin disease like a rash is a bad idea. Eczema causes skin to become dry and red, often in large patches that can develop anywhere on the body, but most often develops on the arms, legs, stomach, and face. Scratching a reddened patch actually causes the eczema to spread, and will make the itching and discomfort worse. Using a cold compress is a better way to alleviate the pain of eczema, but the best thing you can do is see your dermatologist for proper treatment. Skin cancer is the most common type of cancer in the United States. There are many ways that skin cancer can develop, including from coming in contact with toxic agents, or from overexposure to ultraviolet rays. While genetics play a significant role in determining your risk for skin cancer, environmental factors are usually at fault for the disease. Skin cancer may start small, but can spread. If you see a discoloration, dark patch, or any other sort of mark that develops on your skin, it is wise to have it looked at by a skin care specialist as soon as possible. This is a chronic skin disorder that causes large red blotches to develop throughout the body. The buildup is actually caused by an excess of skin tissue. It is red and thick and covered with silvery scales, and it doesn’t go away easily. Typically, the disease will begin around the knees and elbows—tough patches of skin that are exposed to a lot of stress by the nature of being at a joint—but the disease will spread to other areas of the body, including your arms and legs, hands, scalp, and even your torso and back. Psoriasis can be painful, but more than that the disease is highly noticeable and typically interferes with a patient’s quality of life as a result. Your dermatologist can treat psoriasis with a combination of creams and other treatment methods. If you are ever concerned about the development of an unidentified rash or discoloration on your skin, contact your dermatologist right away. Seeking treatment early is the best way to prevent the skin disease from spreading and/or getting worse. Schedule a consultation with Avail Dermatology today by calling 770-251-5111.